Royal as the navy blue hints of the corn flowers and ripe bluerries. 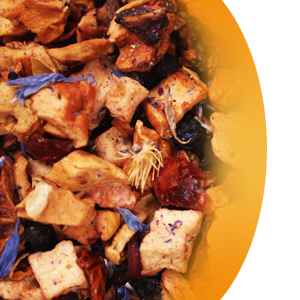 This herbal tea combination features pomegranate arils, blueberries, apples, hibiscus, and elderberries. Together – we achieved refreshing, moderately sweet, delcately pink herbal cup.